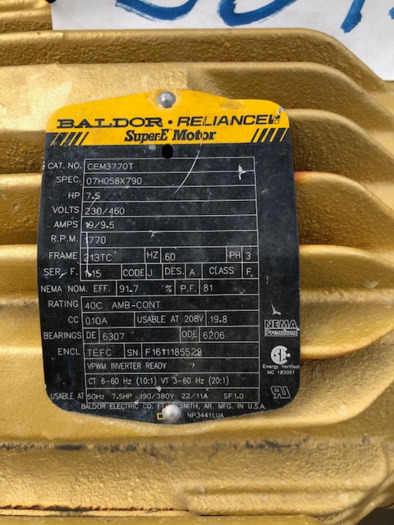 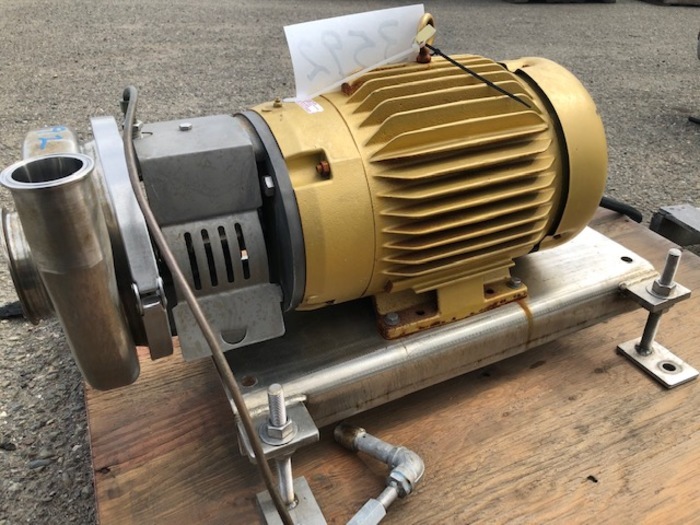 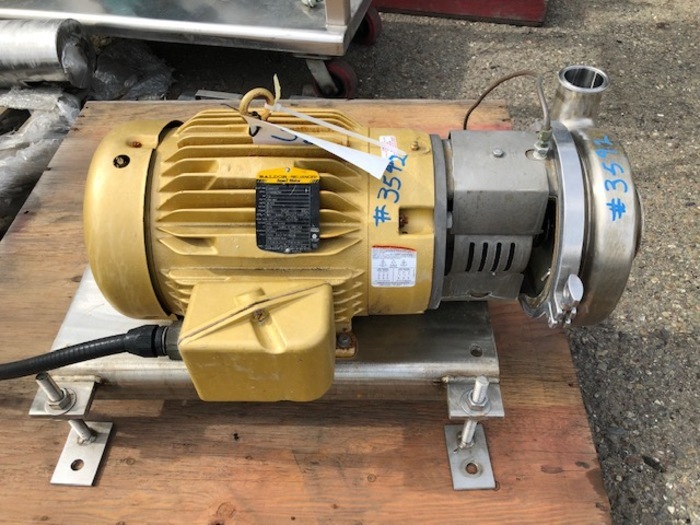 Coker 4" x 2" Centrifugal Pump, Model C328 MD, Serial No. 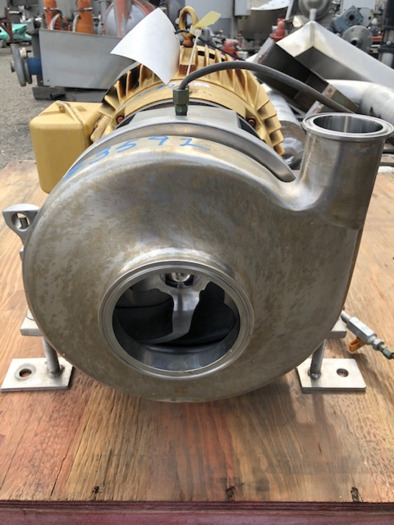 17-51469A, Mfg 2017, Stainless Steel contact, with 4" x 2" Tri Clamp In/Out, with 7 1/2 Hp. 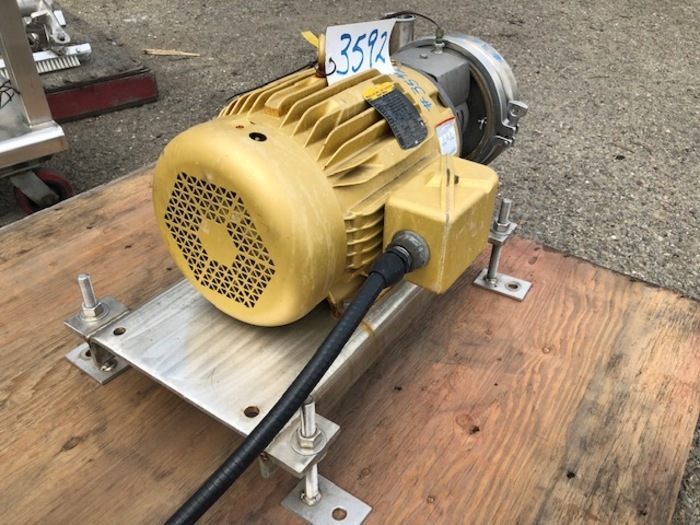 - 1770 RPM _ 230/460 Volt direct drive motor, Stainless Steel base.